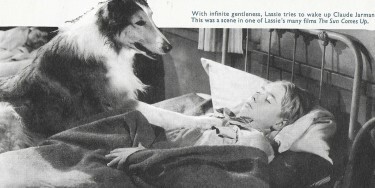 What a lovely dog – Lassie who has appeared in exciting films and Television series over the years. Below: In Son of Lassie – Lassie jumps on to the plane to be with her master Peter Lawford in a thrilling sequence where they are together in the cauldron of war. It is quite a moving part of the film where we even fear for Lassie’s life. Breathtakingly beautiful location photography (Banff National Park, Canada) provides a colourful background for a war story involving Lassie, Peter Lawford, June Lockhart, Donald Crisp, Leon Ames, William Severn and an early performance by Terry Moore when she was a child actress. Peter Lawford and Lassie have some strenuous stunts to perform in the rapids as they escape. 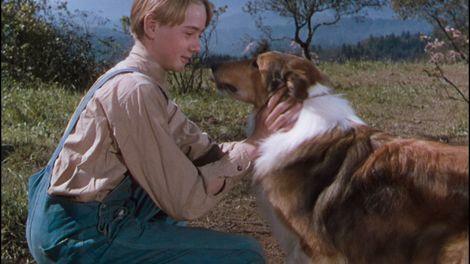 Son of Lassie is definitely a Lassie film worth watching. Above: Lassie lovingly tries to wake up a young Claude Jarman in a scene from The Sun Comes Up. Above – again in The Sun Comes Up. 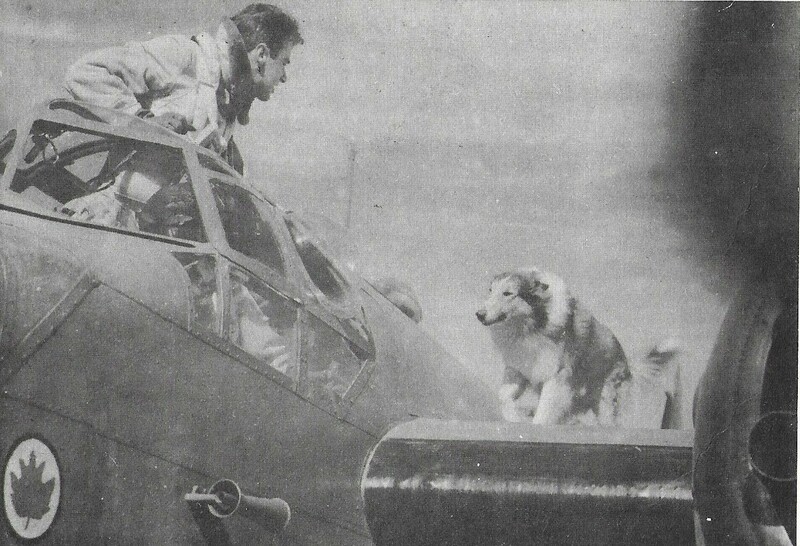 It seems Lassie got him out of bed and out in the fresh air on what looks like a lovely day. I am not at all familiar with this film but it receives excellent reviews. 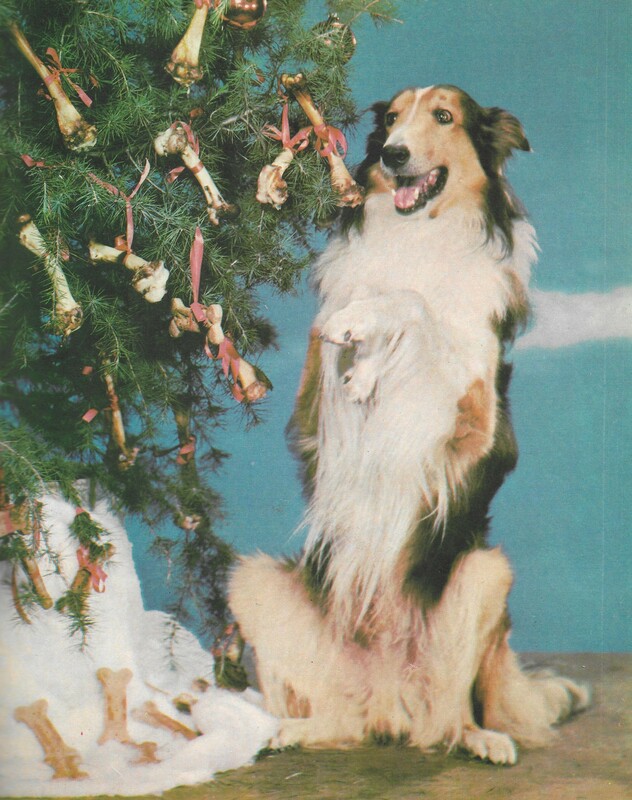 Above: Lassie looks to be celebrating Christmas in a charming colour picture.